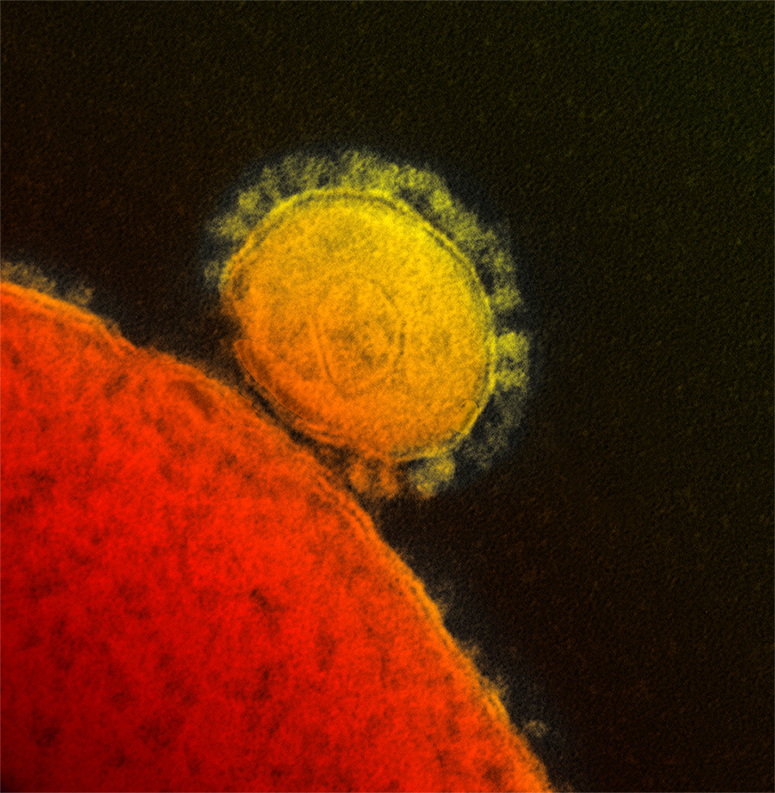 In Fall 2012 a new coronavirus appeared on the global public health radar. The virus has caused 17 cases of severe respiratory disease in the Middle East and Europe, and 11 of these people died. This new virus attracted immediate attention because of the high fatality rate—and because it was in the same family as the virus that caused the global outbreak of severe acute respiratory syndrome (SARS) in 2003, which sickened more than 8,000 people. A team here at the virus ecology unit at NIAID got a sample of the virus, called nCoV, from The Netherlands in November. By December they had developed an animal model to study how the virus behaved and caused illness. Now, just a few months later, they report that two antiviral drugs, ribavirin and interferon-alpha 2b, will stop nCoV from replicating in cells grown in the lab. Clearly more studies are needed to figure out whether the treatment will translate to humans, but it’s an important first step. That’s virus to treatment in about four months—pretty impressive. Inhibition of novel β coronavirus replication by a combination of interferon-α2b and ribavirin. Falzarano D, de Wit E, Martellaro C, Callison J, Munster VJ, Feldmann H. Sci Rep. 2013 Apr 18;3:1686. Pneumonia from Human Coronavirus in a Macaque Model. Munster VJ, de Wit E, Feldmann H. N Engl J Med. 2013 Apr 18;368(16):1560-1562. Epub 2013 Apr 3. It is possible that you could formulate coronavirus-specific RNAi triggers with e.g. aerosolizable liposomes and obtain a treatment candidate even faster? Of course an RNAi approach could be designed and evaluated. However, to the best of my knowledge RNAi therapeutics for infectious diseases are not approved for use in humans and are therefore not immediately available. Ribavirin and interferon-alpha 2b are approved for use in humans and essentially offer an off-the-shelf solution. In this regard, pre-existing approved drugs offer the most rapid intervention to a potentially emerging problem. Wow! Where exactly were these diseases found in the Middle East and Europe? What were the conditions of contracting this virus? Any idea? What animal is being used for the study? This is a cross-species virus? Cases appear to have originated in Jordan, Saudi Arabia, Qatar and the United Arab Emirates. Infected individuals subsequently traveled to the United Kingdom (where secondary infections occurred) and Germany. Exactly how individuals initially contracted the virus is still unknown. Contact with farm animal has been suggested, but remains unproven. Mice, hamsters, ferrets and two species of macaques have been tested to determine whether they are suitable models. So far Rhesus macaques are the only usable disease model. As humans are not the reservoir of this virus, then yes, it is assumed that this virus has jumped species. What are the basic steps can one take if it is suspected that one has contracted this virus–basic steps that can help before reaching the proper medical personnel?